Posted: Sunday, April 17, 2016. 5:52 pm CST. 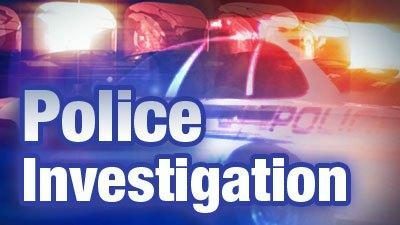 By Aaron Humes: Police have confirmed that one “person of interest” is in custody in Dangriga in relation to Saturday night’s murder of Gerald “Shiney” Tillett. That person is among those injured in the incident. Tillett was killed by a single gunshot wound to the head. The shooting happened while he and two others were socializing at the popular gambling spot, Wadani Shed on St. Vincent Street in Dangriga Saturday night. Those persons are in stable condition. BMG visited Dangriga today and spoke to several persons who were in the area. They told us that the alleged gunman apparently covered his head in a hoodie before the shooting and was seen fleeing afterward with wounds of his own, but it is not known who shot at him. Tillett was a regular at the Shed and was attended by his bodyguards up to the time of the incident when they reportedly left to make a purchase. It has not been clearly spelled out, but it appears that Shiney’s death sparked retaliatory shootings in Belize City where the George Street Gang is based. Commander of Eastern Division South, Assistant Commissioner Chester Williams told us that they have been in communication with their counterparts down south as well as the Gang Suppression Unit (GSU) in the Old Capital. Belize City Police were on high alert and moved to effectively “lock down” the Old Capital on Saturday night, including shutting down stores by 9:00 p.m. and nightclubs by midnight. However, before then, three persons were injured in what appear to be separate retaliatory shootings, one fatal. That victim has been identified as as 22-year-old Kadeem “Wing” Castillo of Faber’s Road extension. There were additional shootings that did not involve anyone sustaining injuries. Gerald Tillett was the younger brother and junior partner to the late Shelton “Pinky” Tillett in the George Street Gang. Pinky was fatally shot along with a female companion nearly four years ago; while he was being brought in in connection with that incident, rival boss Arthur Young struggled with police and later died of his injuries. The younger Tillett was also caught up in a bloody battle on George Street turf with the Gang Suppression Unit (GSU) in August of 2011.